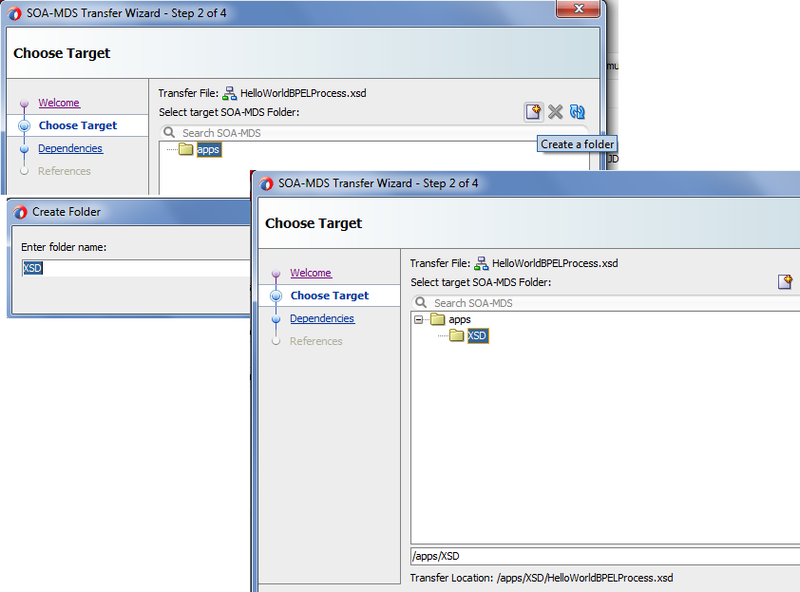 Oracle SOA 12c bring couple of new features to MDS which were explained in my previous post. 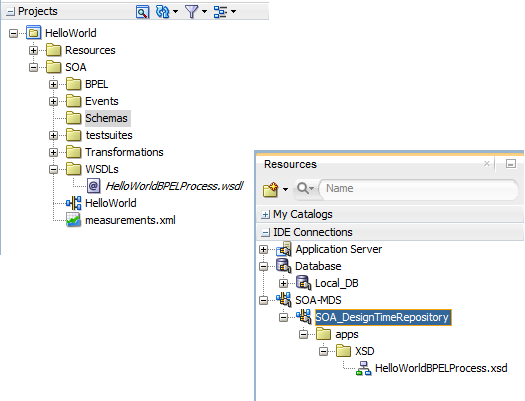 Another major change which brought to MDS is that we can publish the files to MDS design time repository from Jdeveloper itself. In earlier version, to add the file to design time repository we manually need to put the file to file system and made required changes in our code to refer to that MDS file. But with the release of Oracle SOA 12c this all become graphical, we simply publish the file to design time repository by right clicking on the file, this automatically change the required references in the code. In this post, we see how to publish the message to design time MDS from Jdeveloper. 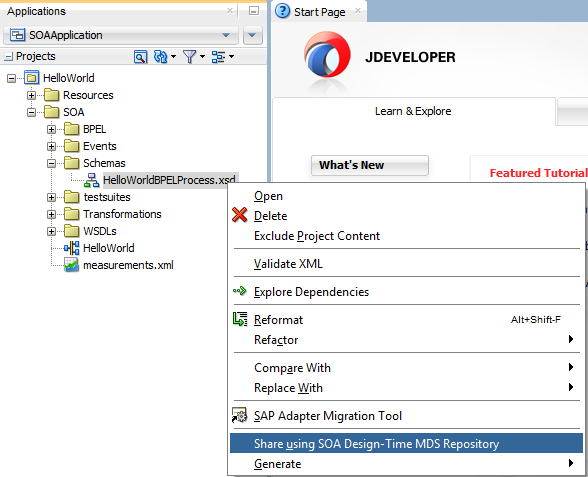 To publish the file, right-click on the file and choose “Share using SOA Design-Time MDS Repository”. 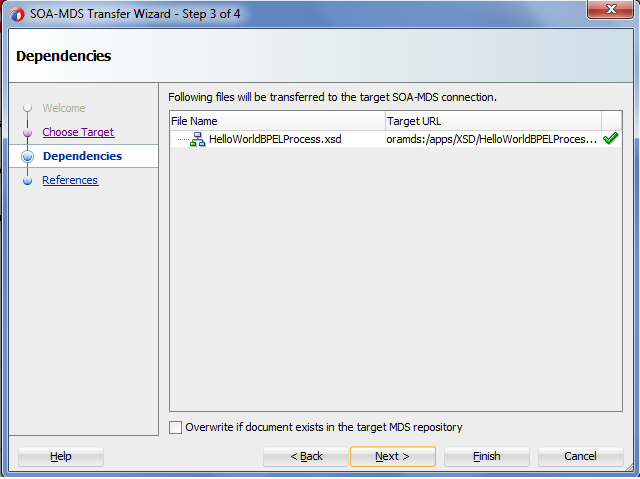 This opens the SOA-MDS transfer wizard, simply click on next. Choose the folder under which you want to add this file, if needed you can also create new folder. 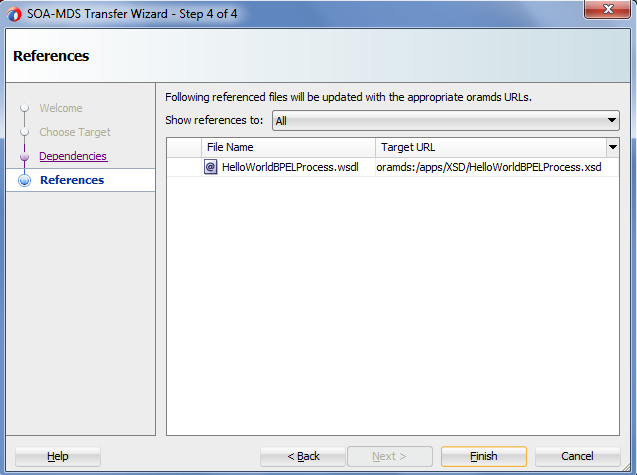 In third step, it shows file name and target URL. In next step, it should all the files which are referring to the file which we are moving to MDS. You see file is successfully published to MDS and if you check your code all XSD references are replaced with new MDS path. Click here to Read- New Features in Oracle SOA 12c MDS. i need to connect with Microsoft Dynamics AX from SOA, how can i connect? Which version of SOA ?